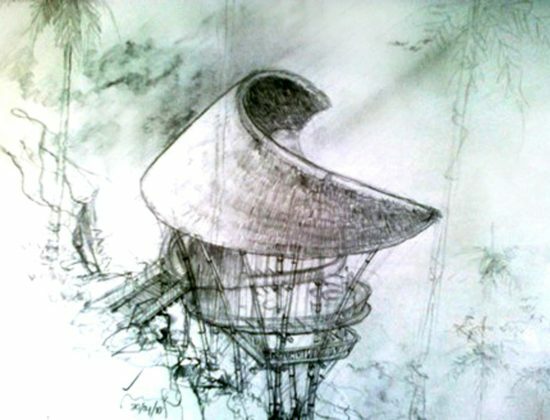 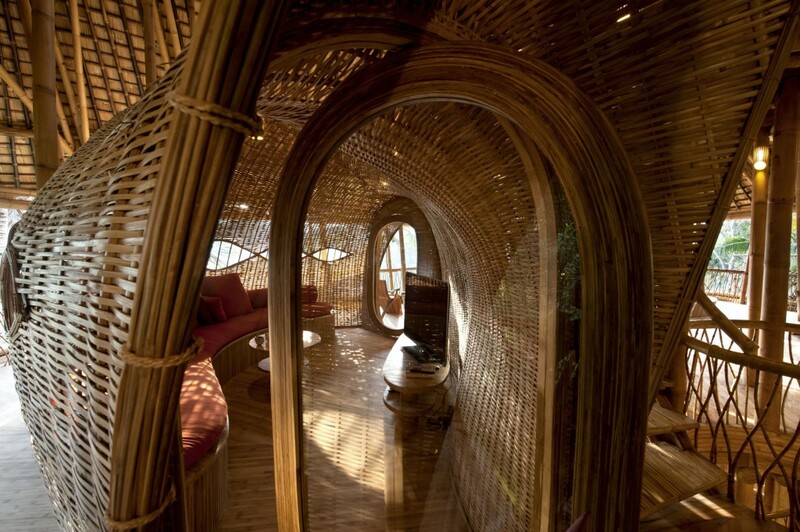 SUNRISE HOUSE is a bamboo house designed in the shape of a leaf, built to face the sunrise in the East. 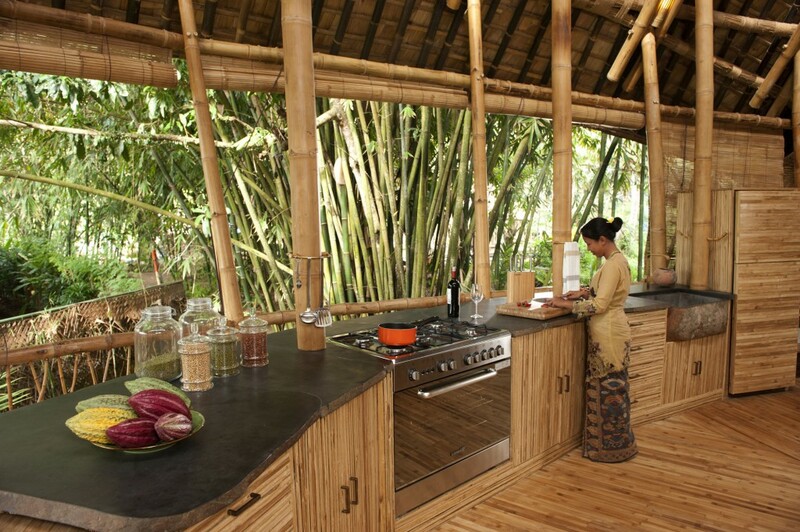 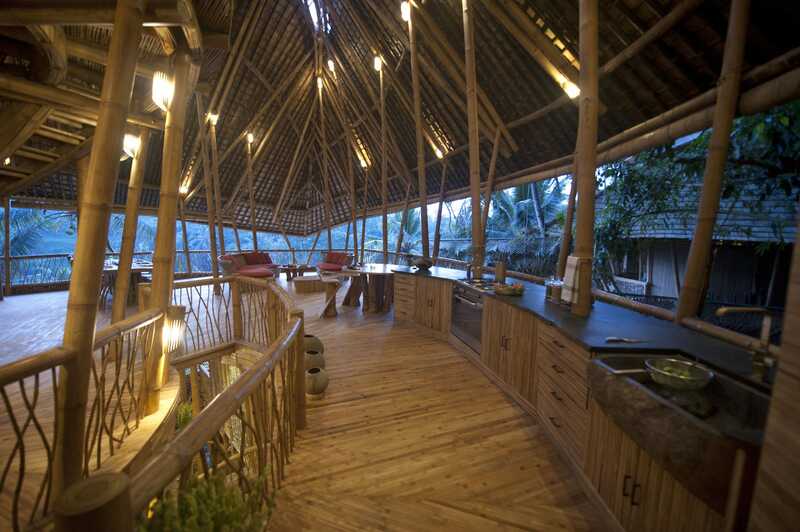 Nestled on the edge of Ayung River valley in the Green Village compound, this house has delighted guests and celebrities from all around the world. 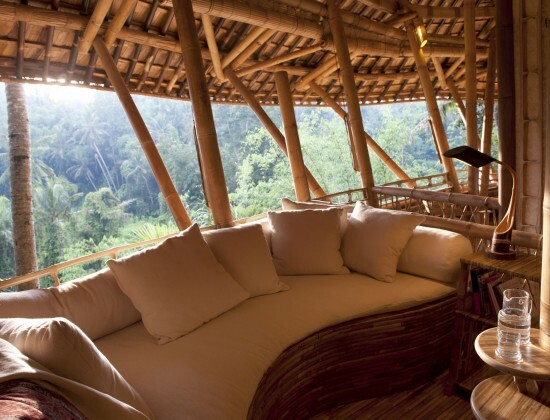 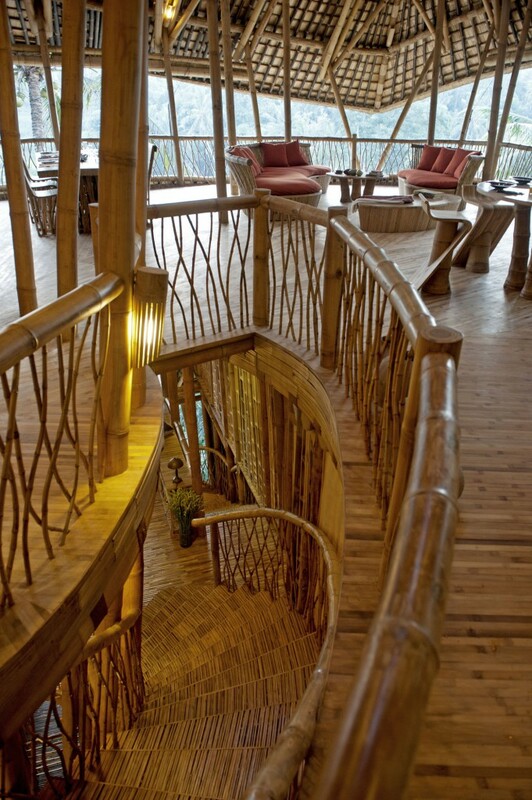 Each level of this 4-story bamboo house offers a panoramic view of the river valley and the surrounding landscape. 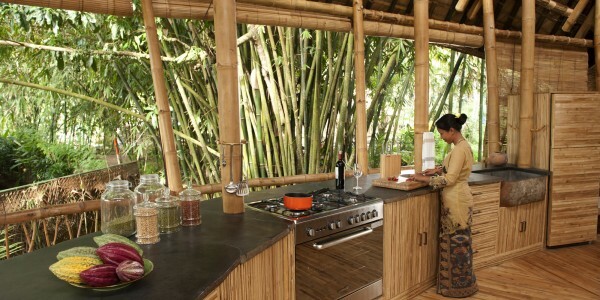 Enter the house from the 3rd floor to access the open lounge, dining space, and fully equipped kitchen. 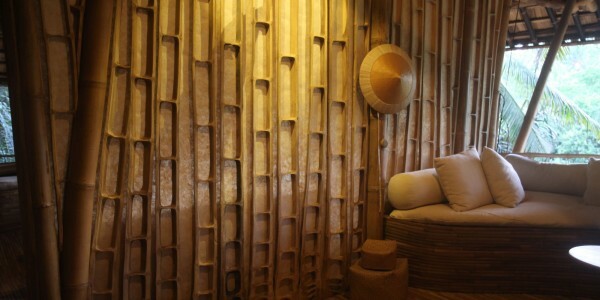 Above on the 4th floor is a designated work space or home office, and the house is also equipped with wireless internet. 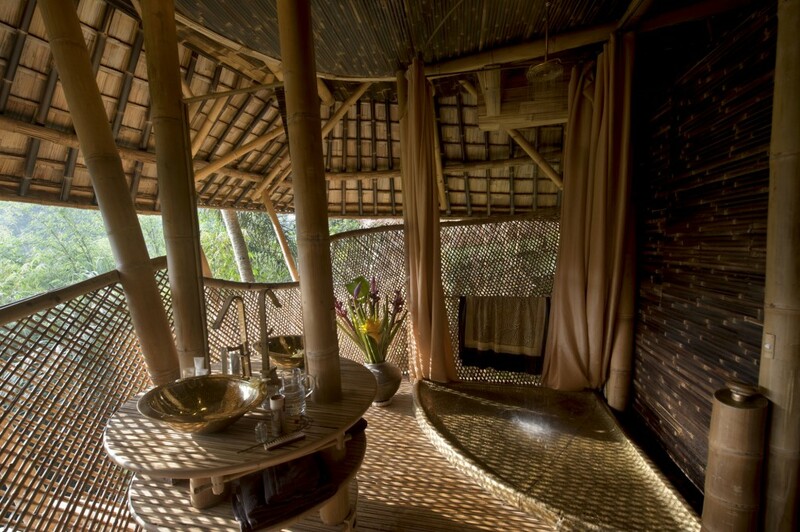 This home features 3 double bedrooms each with en-suite bathroom, and can accommodate up to 9 people. 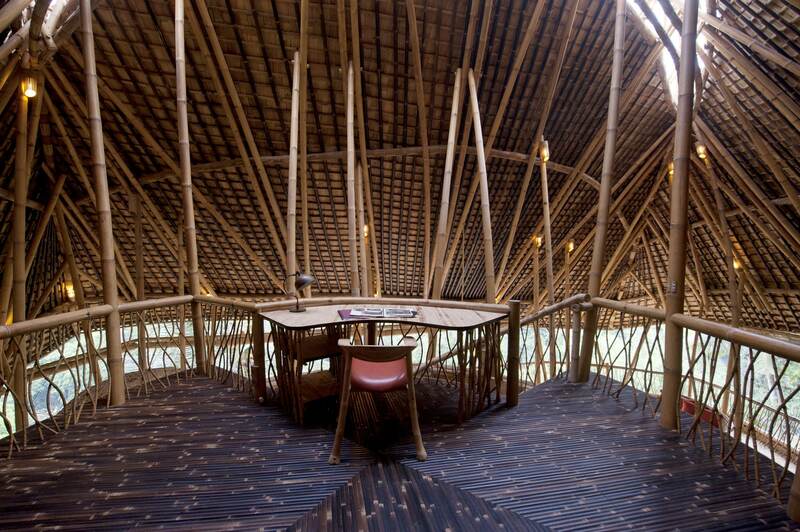 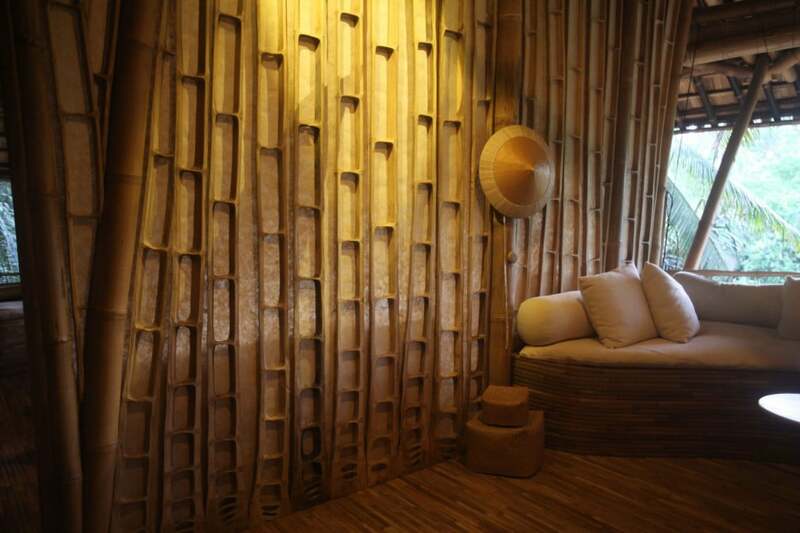 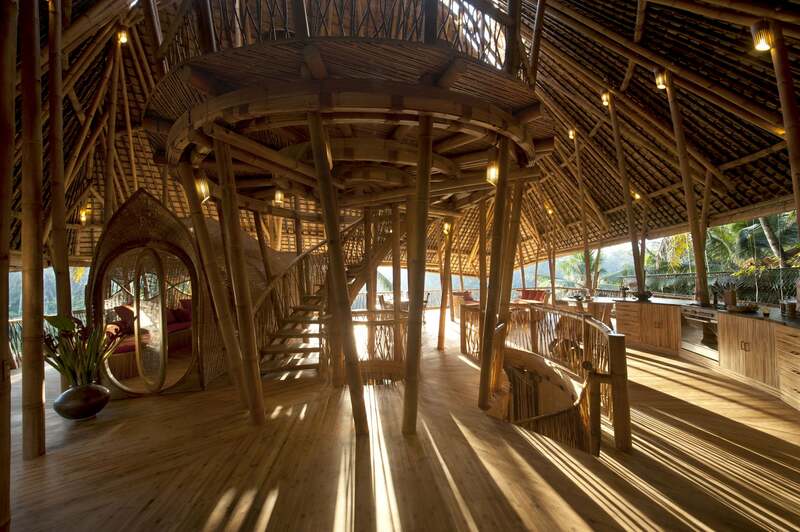 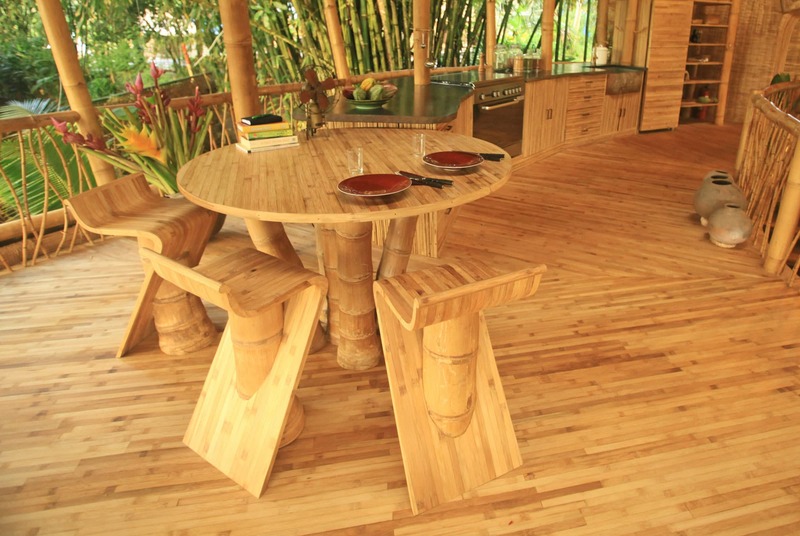 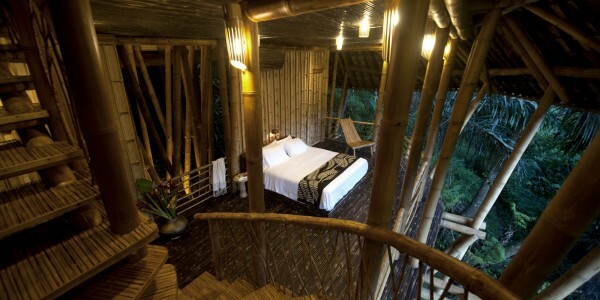 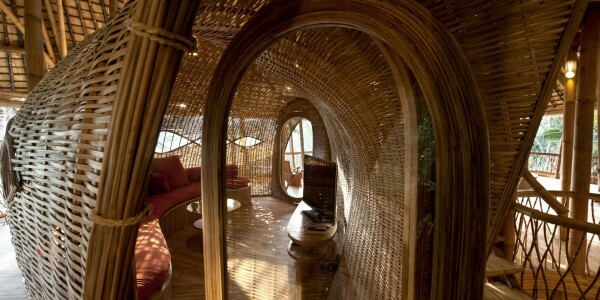 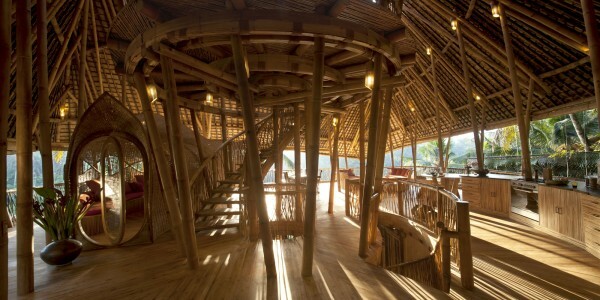 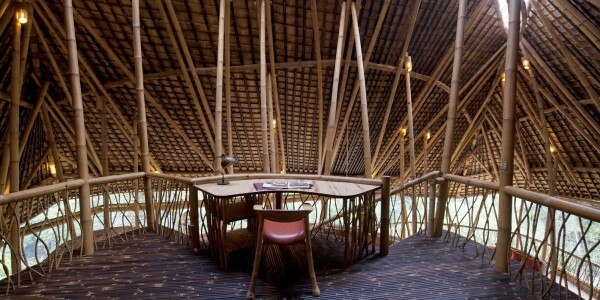 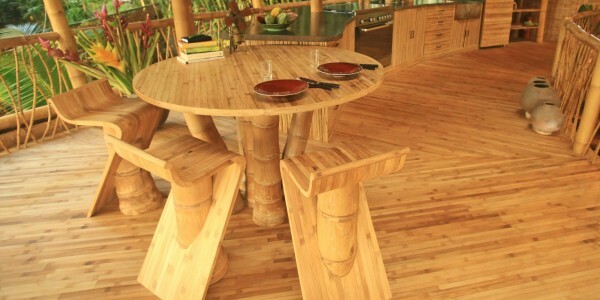 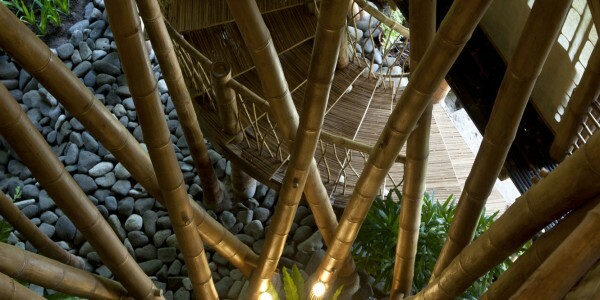 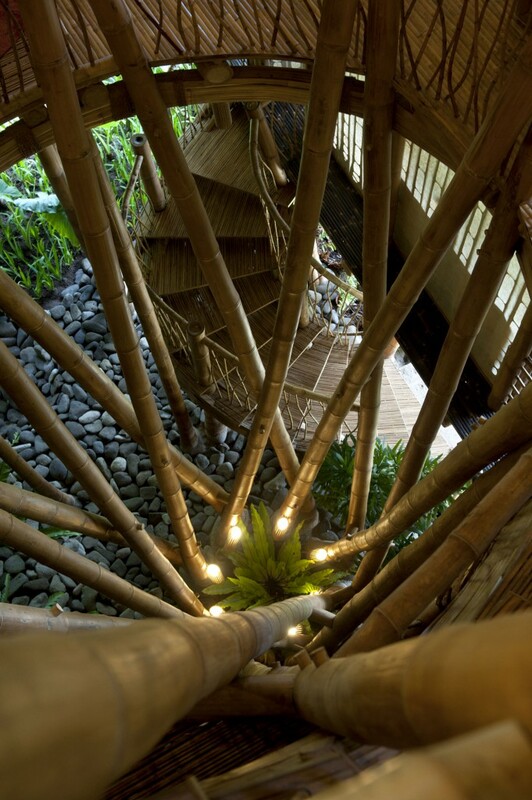 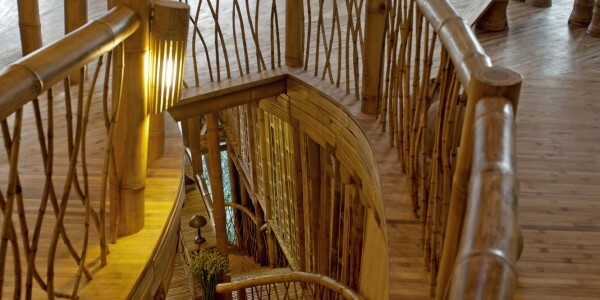 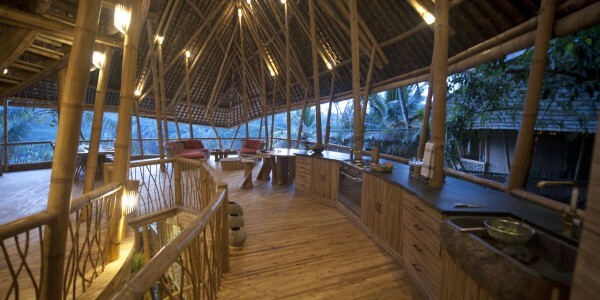 The bamboo stairs down to the second floor leads to 2 bedrooms with ceiling fans and a reading room in-between. 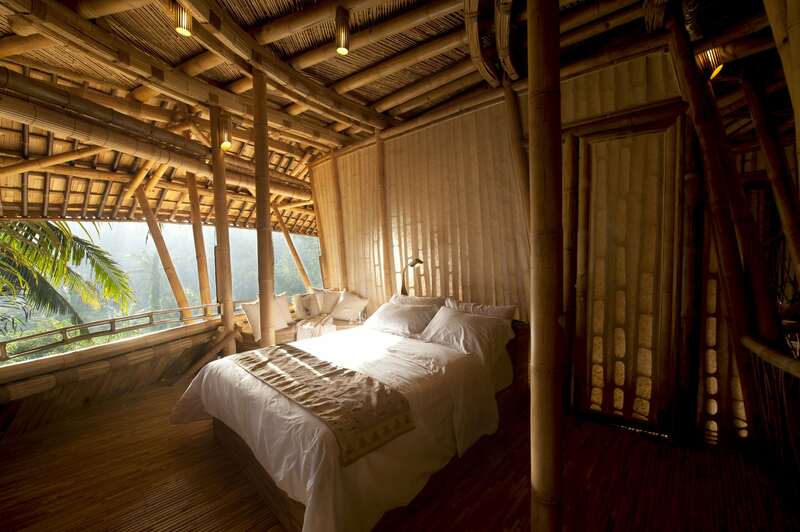 The master bedroom is located on the bottom floor, equipped with air conditioning unit and a de-humidifier. 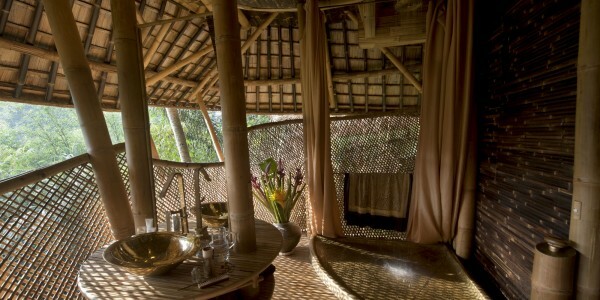 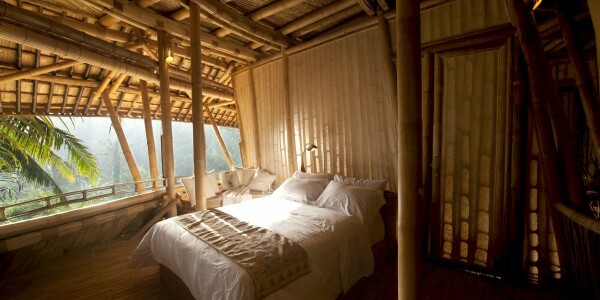 All bedrooms have wind-down bamboo blinds for privacy. 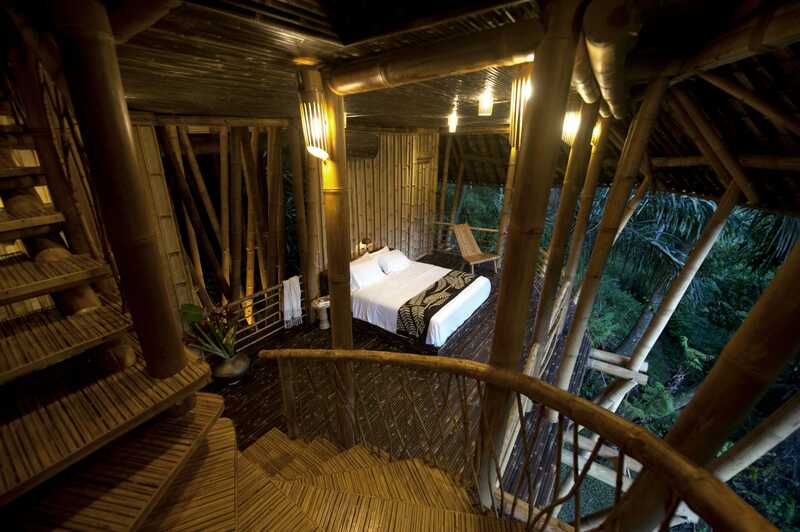 Exit the house from the bottom floor, and take the stairs down to the plunge pool and private garden on the edge of the river valley. 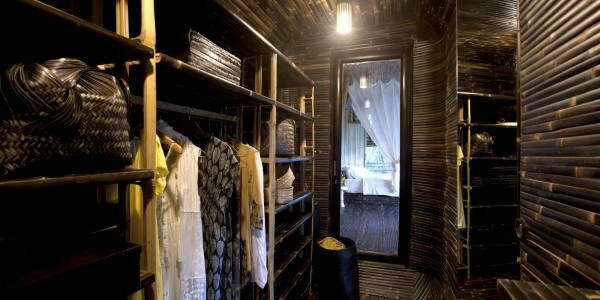 The master bedroom features cooling AC and a drying room.